On a magical moonlit night, Jai and Anusha meet and fall in love. 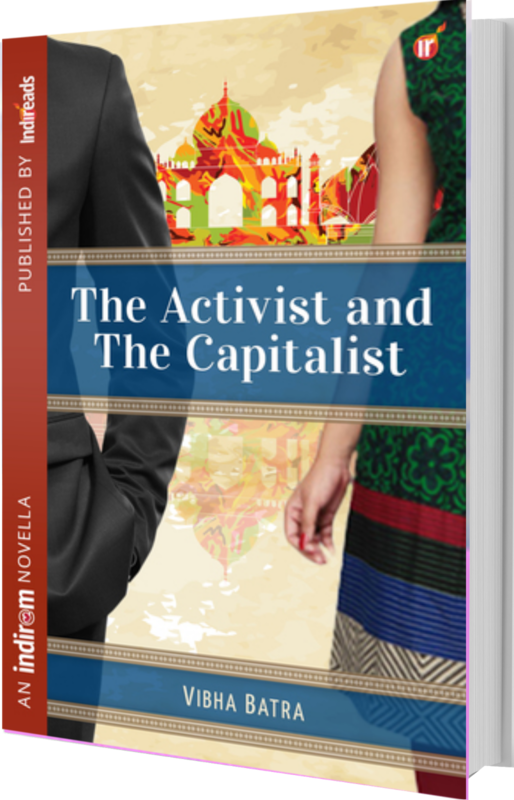 When they meet again however, they discover that Jai is the crass capitalist developing Rasa Vihar, the heritage building that Anusha and her NGO are fighting to protect. Inevitably they clash, with neither willing to concede to the other. The problem is that although publicly they are enemies, in private, they are wildly attracted to each other. – but when secrets and betrayals enter the equation – things really begin to get out of control. Will the Activist and the Capitalist ever be able to find common ground? An exciting love story, set in Chennai from the best-selling author of Sweet Sixteen. Vibha Batra is a copywriter by profession and fiction writer by passion. Her literary pursuits took off when she translated her grandfather Late Shri Vishnu Kant Shastri’s book on the Ishaavaasya Upanishad. Among her recent titles are Sweet Sixteen (Yeah, Right!) and Seventeen And Done (You Bet! ), published by Penguin, Tongue in Cheek, a collection of poetry, and A Twist of Lime, a collection of short stories.